Agent Captain Blitztek has to find a way through enemy territory to prevent the Axtoatles from taking control of the world. 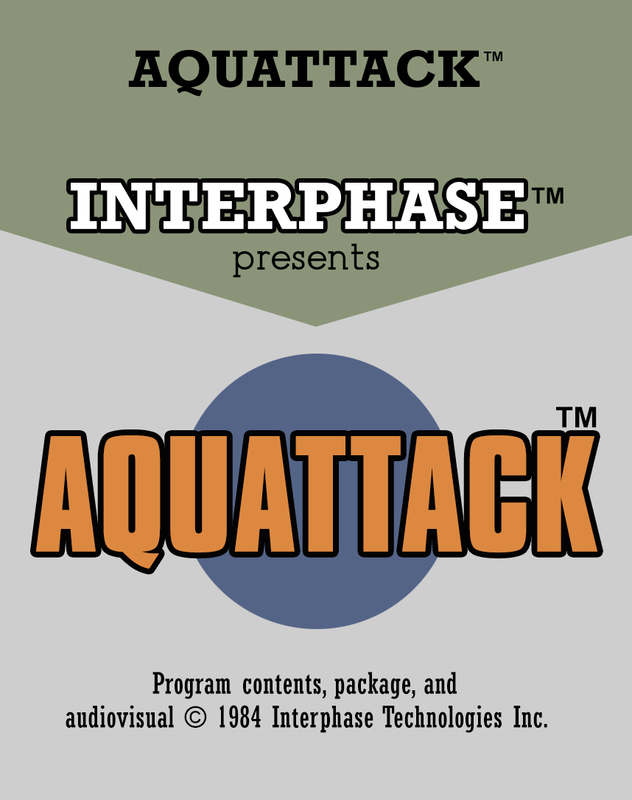 Aquattack is an action game with four levels which partly have varying gameplay mechanics. 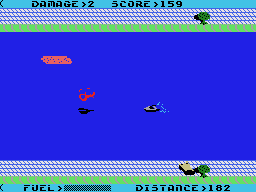 In level one and two, the player mans a motor boat which needs to travel a certain distance from left to right. Of course there is a lot of enemy opposition which needs to be avoided. Some enemies can be shot while others are out of reach. Fuel is limited and needs to replenished by collecting refreshments dropped by allied planes. 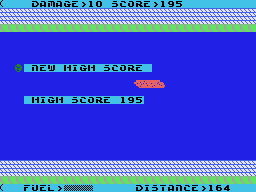 Level three is similar; the player uses a hang glider now. 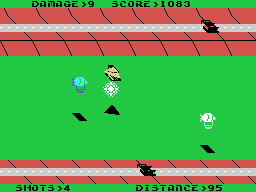 There are different enemies to fight and no fuel to collect. In level four, there is a guarded energy field to cross in order to bring four bombs to the other side. However, only one bomb can be transported at once and there is a time limit. 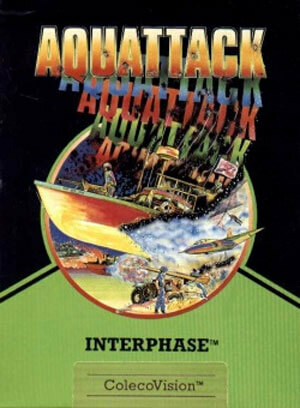 After beating all four levels, they loop with more difficult enemies and faster playing speed. 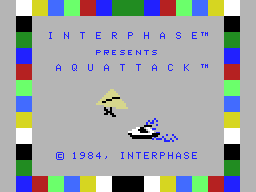 The player can take nine hits and the overall goal is to earn as many points as possible before the unavoidable final death occurs.